Nemo will face top-seed Punk in the opening round. Nemoto “Nemo” Naoki hasn’t made many appearances on the 2017 Capcom Pro Tour. But when he’s been in a Street Fighter V tournament, he’s been a force to be reckoned with. Friday night was no exception. Nemo held off Lee “Infiltration” Seon-Woo to win the Capcom Cup Last Chance Qualifier on Friday. Nemo’s reward for his win is the 32nd and final spot in the Capcom Cup, which begins on Saturday. Nemo and Infiltration squared off three times over the final stages of Friday’s tournament. Nemo and his signature Urien easily dispatched of Infiltration’s Menat 3-0 in the winners semifinal. The two met again in the grand final, where Infiltration decided to switch to his old main, Juri. The switch paid off in the first set, which Infiltration won 3-1. Nemo quickly adapted and scored a 3-1 victory of his own in the second set to win the tournament. The last chance qualifer field included more than 160 talented players from 18 different nations hoping to earn the final spot in this weekend’s $370,000 championship event. Reigning and former Evo finalists Egami “MOV” Joe, Eduardo “PR Balrog” Perez, Ryan “FChamp” Ramirez, and Bruce “GamerBee” Hsiang were among the many heavy hitters in the field. Brian “Brian_F” Foster of the United States finished in third place after losing to both finalists—Nemo in the winners final by a 3-2 margin and Infiltration in the losers final by a score of 3-1. Akiyama “Acqua” Takashi of Japan finished in fourth place. Fellow Japanese player Arashi “StormKUBO” Kubo tied for fifth place with 19-year-old UK wunderkind Shakil “Shakz” Ghazi. Americans Kevin “Dieminion” Landon and Jesse “Commander Jesse” Espinoza rounded out the top eight. Nemo was widely considered to be among the favorites to win Friday’s event. His inablility to qualify for the Capcom Cup came largely down to a lack of free time, as family and work obligations limited Nemo to just five Capcom Pro Tour events this year. Despite the demands of his schedule, he still picked up non-Pro Tour victories at both the Topanga League and the Red Bull Kumite. The celebration for Nemo will be a short one. His reward for his victory will be an opening-round match against top seed Victor “Punk” Woodley to kick off Saturday’s event, and the match has the makings of a classic. Punk and Nemo crossed paths in early September and put on a few great matches. Punk scored a 3-2 victory when the two faced off in the grand final of the East Coast Throwdown this September. Punk also scored a 10-7 win in a $2,000 long-set exhibition between the two at the same event. Nemo got revenge a few days later, defeating Punk in the grand final at Next Level Battle Circuit by a 3-2 scoreline. Nemo will have plenty of his countrymen cheering for him on Saturday. Nemo’s win made him the 16th Japanese player to qualify for this year’s Capcom Cup. The nation produced six of the top eight finishers at last year’s finals, although the top two finishers were both from the United States. The Japanese contingent will be joined by six players from the United States and two from Brazil. No other nation has more than one finalist in this weekend’s field. Saturday’s action will start at 2pm ET. 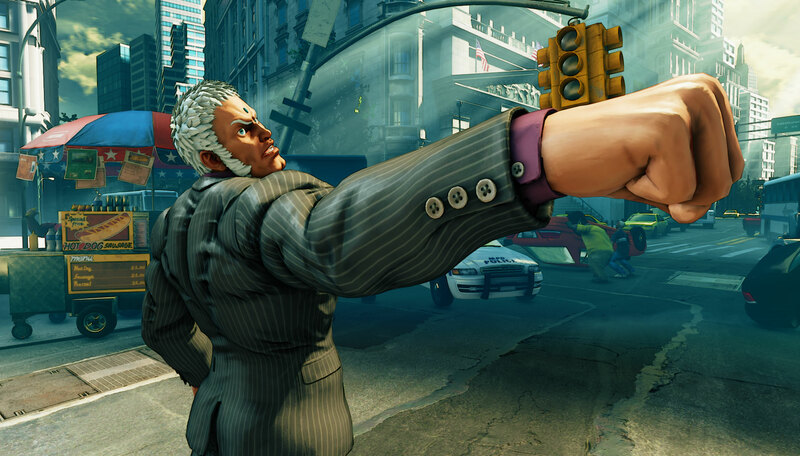 Tournament play will be streamed on Capcom Fighters’ primary and secondary Twitch channels. The top eight players will compete in Sunday’s finals at the PlayStation Experience at 5pm ET.